Riyadh-based Arabsat said in a press release that it had signed deals with Lockheed Martin to manufacture the two spacecraft — named HellasSat 4/SaudiGeoSat 1 and Arabsat 6A. 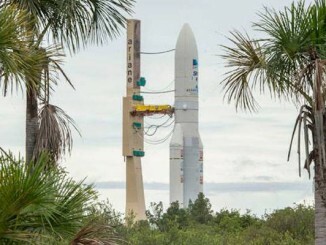 In a separate statement, Arianespace said the HellasSat 4/SaudiGeoSat 1 satellite would launch in 2018 aboard an Ariane 5 rocket from French Guiana. The craft has launch mass of around 6,000 kilograms, or about 13,227 pounds, and will ride in the upper berth of the Ariane 5’s dual-payload adapter structure. 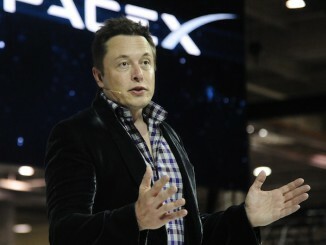 Arabsat said it will sign a contract with SpaceX to launch the Arabsat 6A satellite. 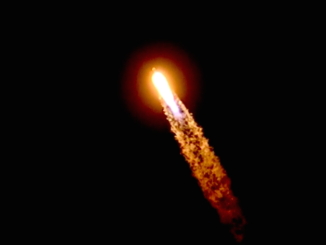 Arabsat 6A is sized to launch on SpaceX’s Falcon Heavy rocket, according to industry officials. The company did not identify a launch site for Arabsat 6A, which Lockheed Martin officials said would be ready to fly in 2018, when SpaceX plans to have launch pads ready at Kennedy Space Center in Florida and near Brownsville, Texas, to support Falcon Heavy launches. The Falcon Heavy’s inaugural test flight is scheduled later this year. The agreements give Lockheed Martin its first new commercial satellite contracts since 2011, when it closed a deal with the Australian satellite company NewSat to build the Jabiru 1 spacecraft. The Jabiru program is now in doubt after NewSat ran into financial trouble. Both Arabsat satellites will be based on Lockheed Martin’s A2100 spacecraft bus and will be constructed at the company’s facility in Denver, Colorado. The HellasSat 4/SaudiGeoSat 1 bird is a joint project between Greek operator HellasSat, a subsidiary of Arabsat, and King Abdulaziz City for Science and Technology, or KACST. The spacecraft will be positioned in geostationary orbit at 39 degrees east longitude, providing television broadcast and other telecom services to Europe, the Middle East and North Africa. KACST will lead research and development efforts and serve as a technology partner to a new limited liability company to be set up in Saudi Arabia by Lockheed Martin and and Taqnia Space Co., which is backed by the Saudi government. The U.S.-Saudi joint venture “would develop talent and infrastructure that will support space capabilities and services in the Kingdom of Saudi Arabia,” Lockheed Martin said in a press release. 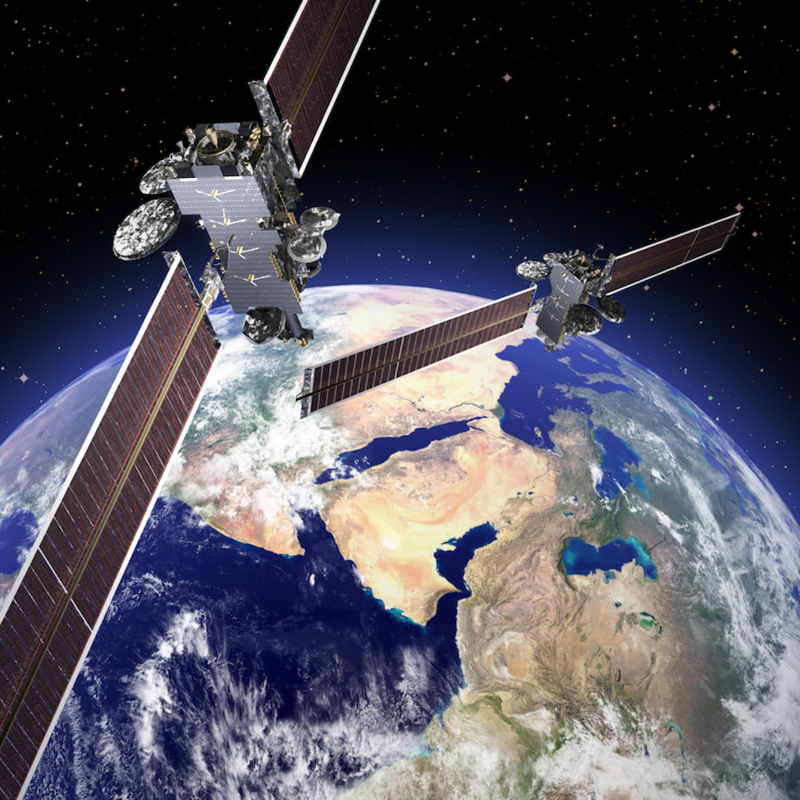 The Arabsat 6A satellite will beam “state-of-the-art” communications signals from an operating post in geostationary orbit at 30.5 degrees east longitude, according to Arabsat.